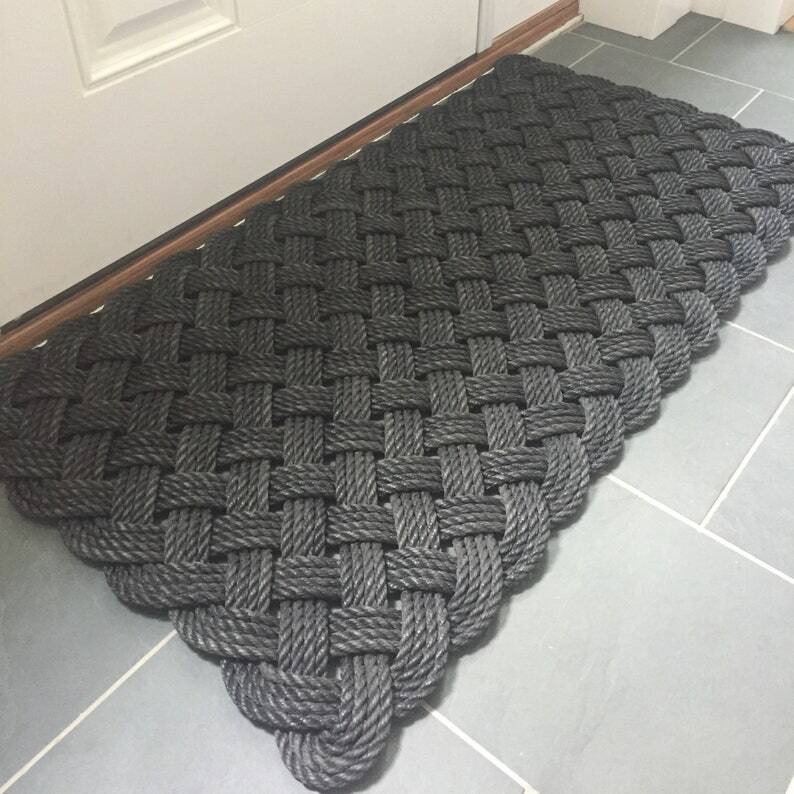 Size - This rug measures approximately 39" x 24" x 1.25"
The rug is made weaving 4 passes of solid black rope. The pictures shown are very similar to the rug you would be purchasing. 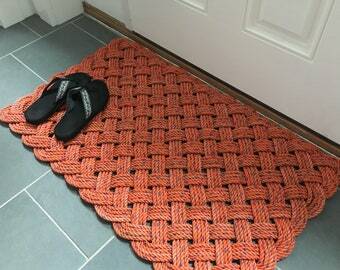 I purchased a doormat. It’s so unique and the quality is great. It is also very functional. If you like a modern style, you should get this!